This past Thursday, I found myself in the rare and highly coveted position of being completely alone for the better part of an entire evening. Well, not exactly alone. 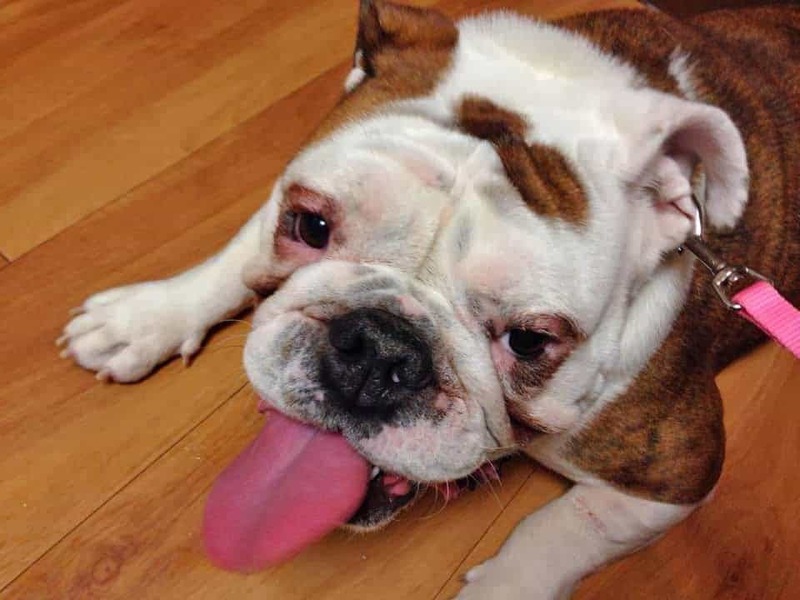 Ellie, our beautiful little English bulldog, was at my side throughout. Together, she and I enjoyed a light bite of dinner, we picked three large bags of apples from the back yard, and then we made this loaf of Apple Fritter Bread. Just me and Ellie. Granted, Ellie may not have picked any apples from our honey crisp tree, but that’s not to say she didn’t enjoy a bite or two from some that had dropped from the branches that were dramatically hanging low to the earth from the weight of their fruit. Besides, Ellie and I were a team that wonderful Thursday night, we were in it together. Scott and a friend left around 5:00 to catch a play at the high school in town. One of the last things he said to me before he walked out the door was a single instruction and request, “Please, do not get the kitchen floor dirty.” We were expecting family from out of town later that night and in our anticipation of their arrival, we had toiled in readying the house throughout the prior three nights. Anyone who knows me know that if there is one thing that am not, especially when it comes to food (making and eating), it is neat. I’m not going to deny the fact that this recipe is messy. It is way messy. As hard as I tried, it was written in the stars that certain parts of the ingredients would find their way to the newly washed, polished, and honed, hardwood floors below. Enter Ellie, or in this case, Ellie’s tongue. I would not have been able to pull this recipe off and keep the kitchen in order without her constant surveillance of droppings and drips of goodness from the countertop above. Ellie’s role in this recipe and ensuing post may have been indirect, but there is no question it was a vital one. Although I felt she deserved a piece of the finished product as a reward for her contribution to the process, I instead allowed her to stay up well beyond her bedtime so that she could play with her little human cousins who showed up later that night, all under the age of 8. She was in pure heaven with the kids, while we adults were in a heaven of our own, enraptured by the fresh, warm loaf of Apple Fritter Bread, as prepared and shown here. This is a fantastic and seasonal tasting treat. 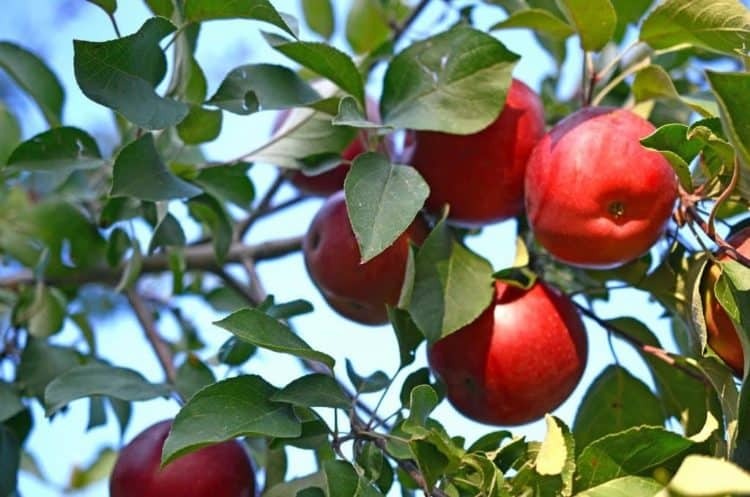 If you are fortunate enough to have apple trees of your own, or you have access to some locally grown juicy reds, take advantage of the moment. 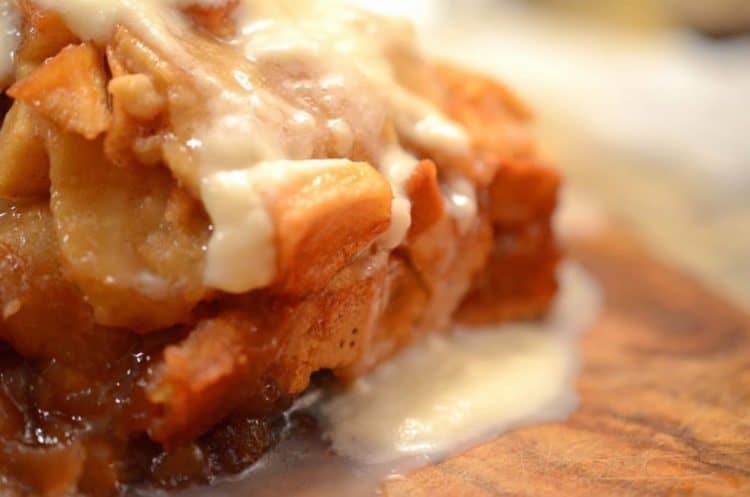 Grab some apples and your best friend and try your hand at this Apple Fritter Bread. Combine filling ingredients in skillet and cook over medium high heat, stir until thickened then set aside to cool. Using small sauce pan, heat milk until it scalds then remove from heat. Combine flour, yeast, and brown sugar in mixer bowl. 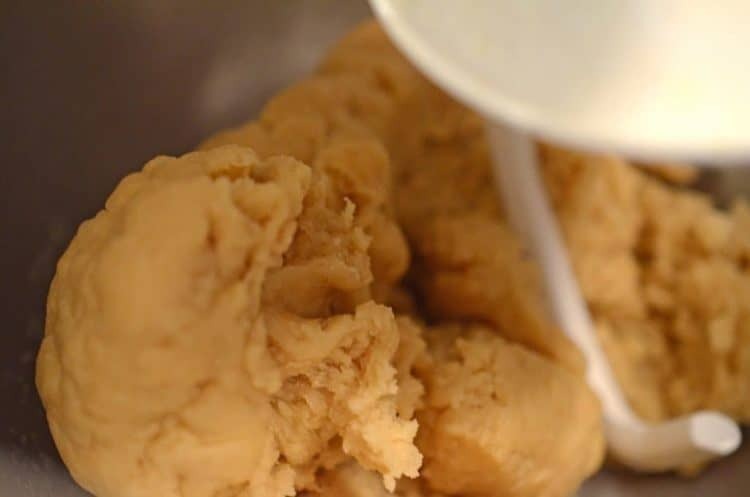 Using dough hook, mix thoroughly then knead for an additional five minutes. On a well floured surface, roll dough into rectangle. 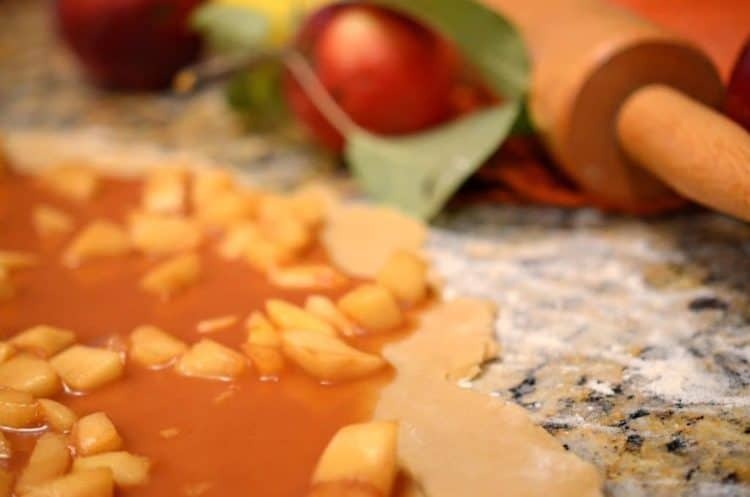 Evenly distribute filling on top of dough and spread to edges. Cut dough into even squares, in approximately 5"x5" squares. Carefully stack prepared squares onto each other, forming four separate piles. Place piles, stacked on their sides, into prepared loaf pan. Bake 45-50 minutes, until golden brown. Allow to cool for 15 minutes and remove from pan. Combine glaze ingredients in small mixing bowl and mix with a hand mixer until a creamy consistency is achieved. 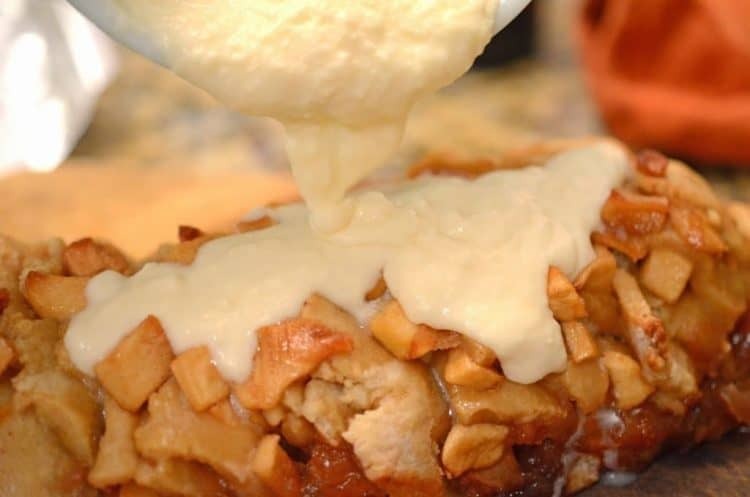 Pour glaze on top of apple fritter bread and allow to set for a few minutes. 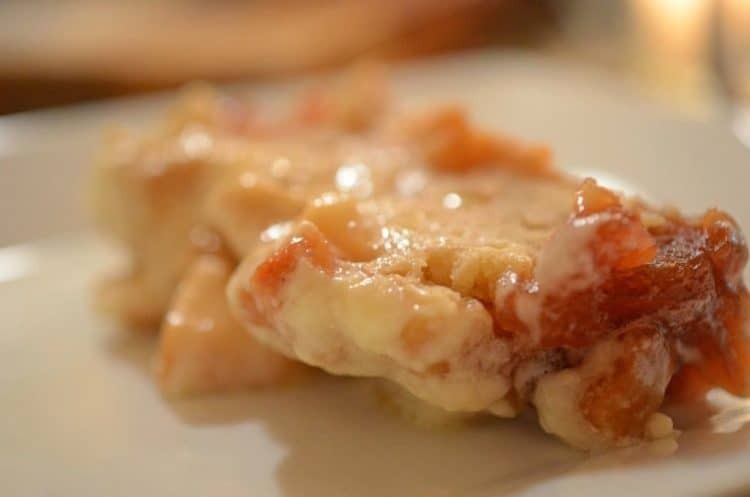 Cut slices, or pull pieces apart and enjoy. Your Apple Fritter sounds like just what I was serching for. Most of the recipes don’t contain the yeast, therefore, they are more like cake to me. Can’t wait to try your recipe! 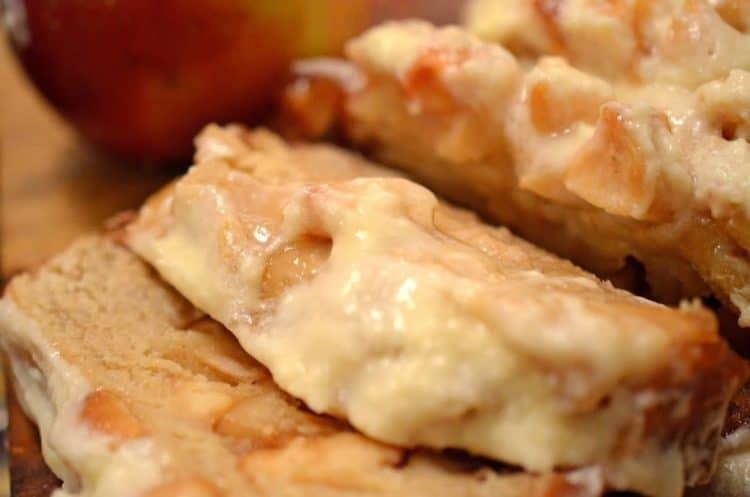 We’re happy you found this recipe for apple fritters! Please let know how it turns out! 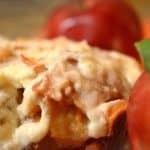 What a fantastic recipe for September! 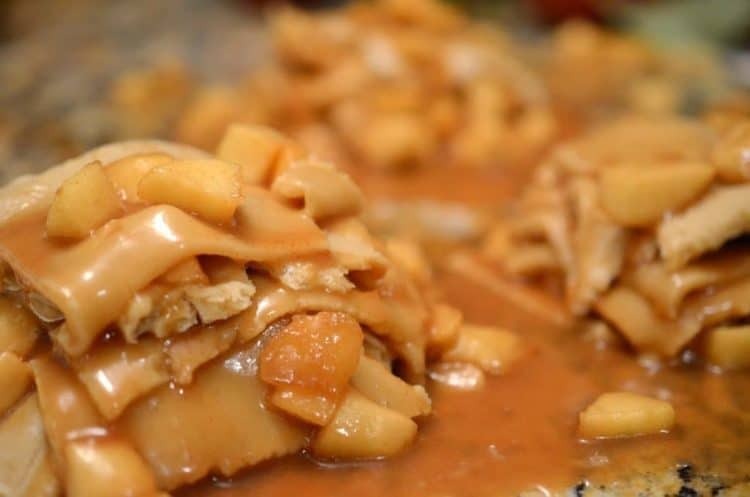 Perfect with apple season here!! this sounds amazing. I always seem to choose the apple fritter in the donut box so I think I need to make this! This looks amazing! 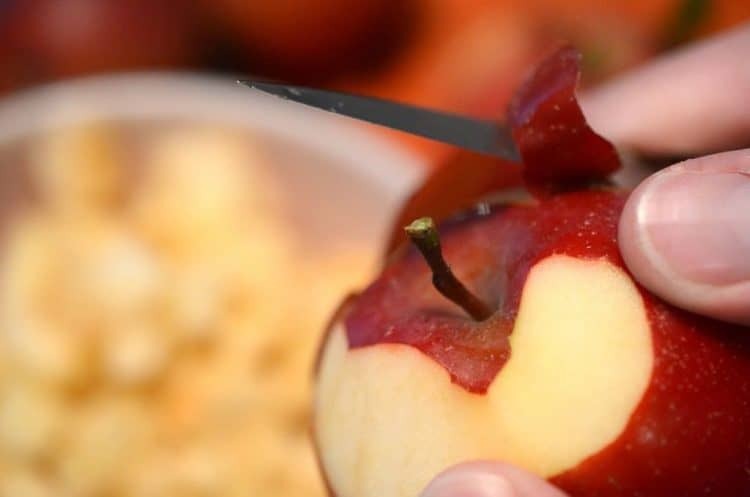 I’m working on an apple recipe right now, and mine didn’t go so well for the first round. I have half a mind to scrap mine and go with yours! LOL This looks delicious! 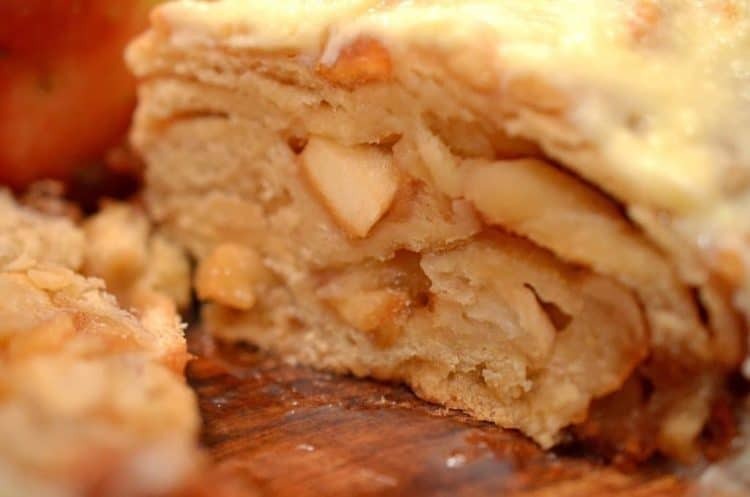 I’m so excited about apple butter, apple cider and now Apple Fritter Bread – YUM!! It looks so scrumptious! You’re so fortunate to be able to pick those beauties from your back yard. 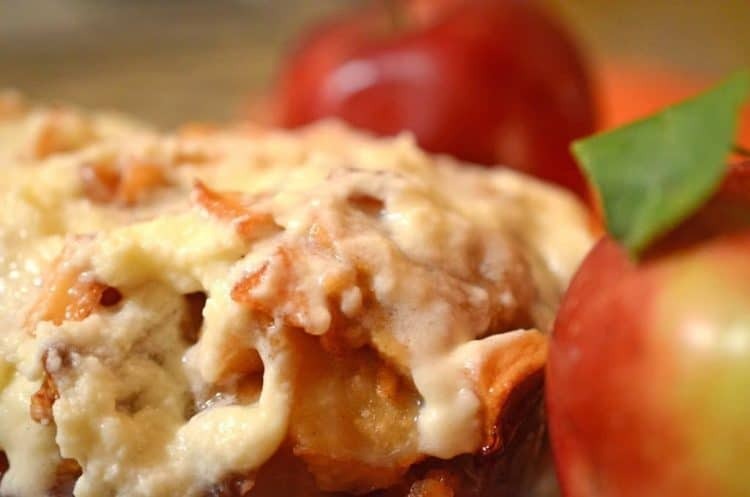 Can’t wait to head out to the orchard and give this recipe a try! 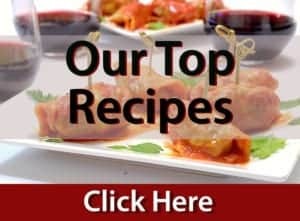 Just found your site through a listing of New Year Eve Appetizers, and have already copied down several of your recipes. They all sound delicious. As a true fan of apple fritters, I can hardly wait to try this bread. 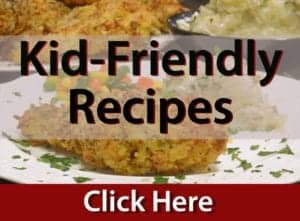 Thank you so much for sharing your wonderful recipes. Laurie, Many thanks for the visit and wonderful comments. We hope to see you much more of you, at Platter Talk! OMG love that you turned apple fritters into a bread! That is exactly what happens with this recipe! Thank you from stopping by and taking the time to comment!! Dogs are superb companions—and sous chefs. To take your backyard bounty, at its peak of flavor, transforming it into a delectable treat like this bread is a pure culinary joy. You even paired it with wine. Bravo, good man! You do a great job of wrapping this post up, with your wonderful comments. Thanks as always for the feedback, it is always very nice to hear from you! 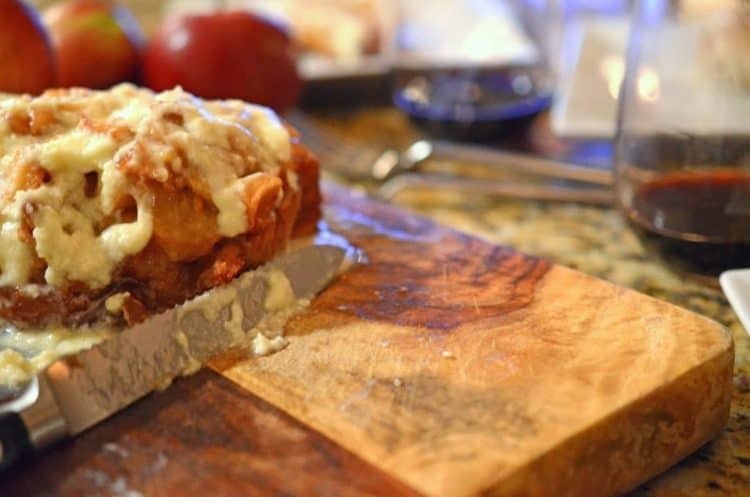 My husband is an apple fritter fanatic, so I know he would go crazy for this bread! I wish you both could try some of this! Have a great weekend, thanks for commenting!! Ellie is adorable! And this bread sounds just amazing. It’s always nice to have a helper in the kitchen, even if it’s one who eats off the floor! 😀 Have a great weekend Dan! Thanks for stopping by, and yes, Ellie is actually a pretty good helper, sometimes! Hoping you have a great weekend! !